Complete any jeweler's professional kit with our Diamond Accessories! 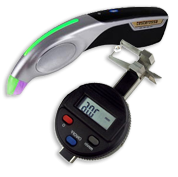 Shop the best testers, measuring gauges, scratch pens, sieves or lights. Get the best prices thanks to our regular discounts!